Causes directed to enforce the selling price. Besides these economic factors, there are certain non-economic factors, which have also influenced the formation of combinations. Now, we shall discuss some of the principal causes for the growth of the combination movement. Large-scale production and intense competition have become the rule of the present day economy. Cutthroat competition leads to wasteful advertising, unnecessary duplication, over production etc., which all ultimately result in lowering the profit margin of the industrialists. Under such circumstances, small units could not survive. Therefore, the only alternative available to the industrialists is the elimination of competition, which could be possible only through business combination. Large-sale production has certain definite advantages. If different firms come together and form amalgamations, the scale of operation also become larger and savings in overhead charges can be effected. The tariff policies of different countries have also furthered the causes of the combination movement. Tariff is often described as the “Mother of Combination“. By imposing high tariff on imported goods, the Governments throughout the world offered protection to home industries. The protection offered by the state resulted in the establishment of a number of business units. Consequently, competition amongst them became tense and the need for business combination was felt. Another contributory cause for the combination movement was the revolution in transport and development of communications. The development of transport facilities accelerated the growth of large-scale undertakings. The large undertakings began to absorb smaller units to cater to the needs of the local market. The growth of joint stock companies has also facilitated combinations. Basically the company form of organization itself is a type of combination. Large companies with huge capital were able to control comparatively small companies by subscribing to their shares. Hence, holding companies came into being. The tendency of business activities to fluctuate regularly between booms and depressions gave a fillip to business combinations. Particularly during the periods of depression, new units cannot enter into the industry and even the existing small and inefficient units cannot survive. During 1930, when the Great Depression occurred, the situation became very awkward and the industrialists began to adopt the technique of business combination. The technological development also paved way for large-scale operations. Small units with limited financial resources were found unable to compete with bigger ones. Hence, they realized the need for business combination. Moreover, the adoption of modern techniques required huge capital investments, which small units could not provide. Therefore, they were forced to combine themselves to get the benefits of modernization. Business Combination has also been fostered by patent laws. The inventors were given exclusive right of the use of their inventions. This statutory right also furthered the combination movement. Men of technical skill of a superior order are less in number. The scarcity of business talent is also a cause for the centralization of powers in the hands of a few. Many combines have common directors, managers, which in effect would mean their common control. 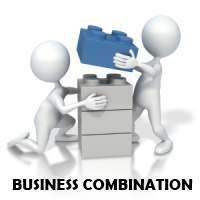 The labour, fiscal, industrial and taxation policies of the Governments also influenced the formation of business combinations. The Government may even exert pressure on weaker units to merge with bigger ones. Frequent changes in the policies of the Government also increased the uncertainty among the businessmen. The instability of the economic policies also encouraged the growth of the combination movement. In fact, combination is the first step towards rationalization. 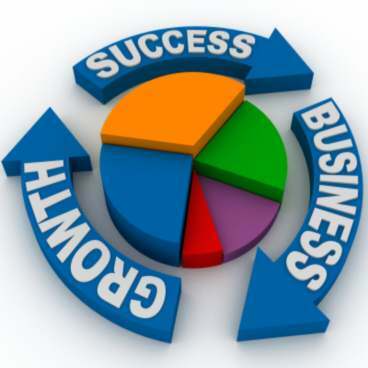 The growth of rationalization movement encouraged the emergence of business combinations to a great extent. The mid-nineteenth century brought in its wake the cult of the colossal-respect for bigness. People began to respect big things and there was a corresponding contempt for small things. The impact of this tendency was felt in the business field also. The glamour for giant undertakings captured the minds of the industrialists. This tendency also furthered the combination movement.